School Counselor Advocacy with our state legislators is critical! We need to learn more about this process and share our stories with the people who make important decisions. Mark your calendars for Visit the Hill 2019! Visit the HIll is our annual advocacy experience for those who assist students in the college admission process at both the post-secondary and secondary levels. Students, from both levels, are also welcome to attend this event as an excellent learning opportunity in how government works. ISCA and Iowa ACAC work together to put on a very worthwhile day! Visit the Hill is coordinated In partnership with the Iowa ACAC Government Relations Committee. During Visit the Hill, participants will be provided the necessary training and information to help lobby for issues critical to the interest of our students After Lunch, with other attendees and legislators, the group will head to the State Capitol to lobby with their state representative and senator. There is no cost to participate in the Visit the Hill program. Use the Travel Scholarship and bring your students! Look up your State Legislators and connect with them about issues that are important to you. 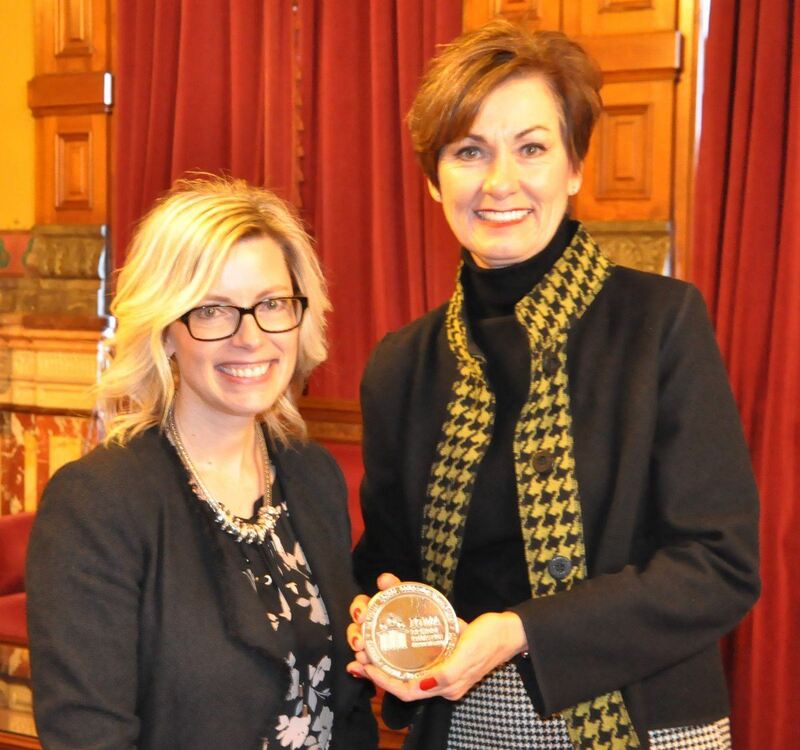 President Aimee Hospodarsky presents Governor Reynolds with a medallion honoring the three tenants of school counseling.